BEER SHEVA (May 1, 2008) — This year marks the 20th anniversary of the establishment of Israel’s Ministry of the Environment. The fact that it took 40 years for the state to provide “ministerial” protection for its environment says something about national priorities during the country’s formative years. And the circumstances surrounding the ministry were not auspicious. Unlike many Western countries where grassroots green activism galvanized support for a new government commitment to the environment, Israel’s ministry was created as an ad-hoc solution to solve a political crisis: a Likud minister had been promised a cabinet portfolio and there was none available. These humble beginnings portended a history of ministerial mediocrity. Israel’s modest environmental achievements have often been achieved in spite of its minister of the environment rather than because of his or her leadership. Before addressing the specific environmental agenda, there are three underlying structural changes that Israel’s minister of the environment must pursue in order to produce substantial progress. First, an adequate budget will indicate the government’s commitment. Thus, the first thing a minister of the environment needs to do is to receive a commitment to increase funding fivefold; that would allocate one percent of the government’s budget. Such an increase hardly seems excessive, given the severity of the problems and the enormity of the responsibility associated with protecting the “Holy Land.” The results would ensure more and higher quality technical personnel, increased inspection hours in the field, greater assistance to small industries to purchase pollution-control equipment, additional support for environmental-education programs, more precise monitoring, and much else. Second, given the historically sporadic uncommitted tenure of people holding this portfolio, the new minister must make a personal, long-term commitment to the position (given the obvious political constraints). More important, the minister should design programs and policies with clear quantitative objectives for the coming five and ten years. Finally, the ministry must be given authority in areas where the absence of such authority currently prevents successful operations. Currently, Israel’s minister of the environment frequently finds him or herself to be “irrelevant” in a range of critical environmental issues. Consolidating new ministerial authorities is critical for an integrated national environmental policy. First, conduct a serious comparative risk assessment to help the country set ecological priorities. There seems to be some dissonance between the resources invested in environmental problems and their actual severity. For example, air pollution in Israel is responsible for more than 1,000 premature mortalities a year. In 2007, although 46 percent of the spot checks at factory chimneys revealed violations of emission standards, the number of enforcement actions was trivial. The result is that there were 45 days of air-pollution violations in Israel last year. This means that one out of every eight days it was unhealthy to breathe Israel’s air. Surely, this requires serious attention. Second, create policy for reducing greenhouse-gas emissions. As a “developing country” under the Kyoto Protocol’s division, Israel has been “off the hook” for the past decade. While European countries began the onerous task of cutting back, we have had no international commitment to reduce carbon and methane emissions, even as Israel’s per-capita emissions are surely comparable to the most industrialized “Annex I” countries. But after the recent Bali summit, it is now clear that this status will change and that by 2012 Israel will be expected to do its part to combat global warming. While greenhouse gas reductions involve transformation in myriad sectors of the economy, Israel’s minister of the environment needs to spearhead a proactive policy. 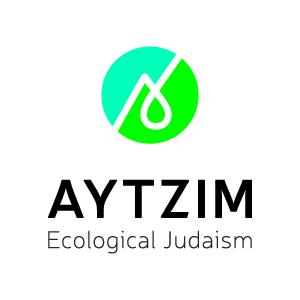 For starters, the ministry must create meaningful incentives to use public transportation, reduce energy consumption, develop renewable energy sources, capture methane from garbage dumps (and cows), and expand JNF tree-planting activities. Undoubtedly, Israel’s paramount ecological challenge is preservation of open spaces. Both “declaring” 50 open spaces as nature reserves and upgrading those spaces is critical if the marvelous biodiversity that Israel enjoys is not to be lost. This means creative policies and tough enforcement actions to address the litany of threats to open-space integrity — from the all-terrain vehicles that scar the landscape to the 50,000 illegal structures built by Bedouin squatters sprawled across the Negev, to the increase in illegal hunting by migrant Thai agricultural workers. Proactive policies also will require that Israel prepares itself for the new “ecological” reality that peace will bring. While the past geopolitical agreements between Israel and its neighbors all contained environmental provisions, commitments have been relatively amorphous. Israel will never be able to protect its aquifers without Palestinian cooperation. The Gulf of Eilat, whose coral is disappearing at a shocking rate, will not start to heal without a regional strategy that includes Egypt and Jordan. Palestinians justifiably will eventually start to complain about transboundary air pollutants that arrive with the westerly winds from Israel. Ecologically, Israel is no bigger than a postage stamp. Without common efforts and standards in biodiversity protection, pesticide application and residues, fuel quality and sewage treatment, it is unlikely that progress will be meaningful. So a minister of the environment needs to make sure that future harmony in the Middle East is translated into harmony between humans and the magnificent resources of our promised land.